I’ve mentioned a few times here already Kevin Avery’s wonderful book, Everything is an Afterthought: The Life and Writings of Paul Nelson. 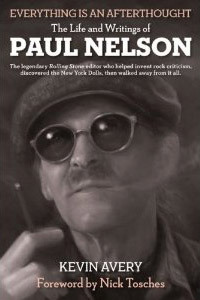 Half a personal biography of Nelson, half a compilation of select Nelson reviews and essays, it’s one of the finest books I’ve ever read about a writer — and, needless to say, about rock criticism. Though Avery’s book is not actually in stores until October, you can pre-order it through Amazon and elsewhere. 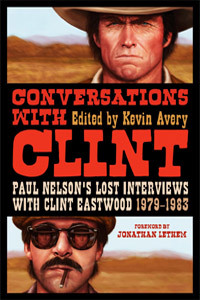 Be sure to visit Avery’s blog for further details about Everything is an Afterthought, as well as the book he is publishing almost simultaneously, Conversations With Clint: Paul Nelson’s Lost Interviews With Clint Eastwood, 1979-1983. 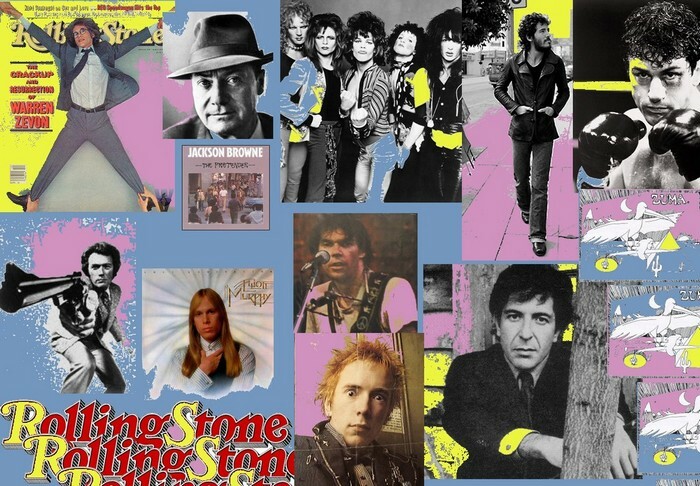 On June 22, I chatted on the phone with Kevin Avery and Steven Ward (whose “What ever happened to rock critic Paul Nelson?” was the first interview ever published in rockcritics.com, back in 2000). The result is a two-part podcast, nearly 100 minutes in length, entirely devoted to Avery’s book and to Paul Nelson’s life. Hope you enjoy.